As there are Browser and OS wars so too are there Media Player wars. In the video arena is VLC Player, Windows Media Player and Quicktime that pretty much rule my roost. Qt and MP for their respective formats and VLC for every thing else but it isn't really necessary to manage video because I don't particularly need them organized. Music is a different kettle of fish, I want genre's and if I ever find the time tempo information in the tracks I want to sort by artists, year and album so I can find them easily once I get that done I want simple ways to get them onto something portable. So its kinda obvious to me managing music media matters to me and Media Monkey is my app of choice the free version great and there is a paid version with alot of great features but most pretty unnecessary if you have some extra time. On linux there is no media monkey though and in comes Amarok which is better than Media Monkey's free version and still free. These are all great apps but something new has caught my eye by the name of Songbird, its made by Mozilla the same people that brought us Firefox (and Thunderbird and Sunbird). It is still very rough around the edges and missing a lot of the polished features in MM and Amarok such as monitoring folders (well MM Gold), can't rip CDs, can't normalize tracks etc. but these are all in the roadmap. Media Monkey is windows only and while there is an Amarok version for Windows it isn't officially supported at the time of writing this. 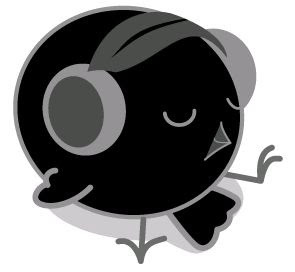 Songbird however is build to bridge across Mac OS, Linux and Windows. I like changing my OS and being able to expect the same functionality (or there about) and a similar interface. I hate having to not get feature X on Windows and then go to Linux and not get feature Y, I'd just prefer to say ok I can live without X and not get it on either but get Y. The other point is browser integration, no no it doesn't try assimilate your existing browser, it is a browser. Now at first this seemed kinda ludicrous but the truth is sometimes having to switch to a browser where your media controls disappear kinda breaks the experience. Its like tabbed browsing, sometimes I don't want person stuff in the same window as work stuff as it is a distraction so I keep two separate browsers one with tabs related to a topic. With this all the music related stuff stays put and it has built in support to get you to an artists wiki or Myspace page. Toss in the fact that is essentially Firefox under there and you get the same plug-in extensibility and can add plugins that let you find concert tickets (I pray for the day this will be useful in the Caribbean). Long and short Songbird has alot of promise and I'm excited about what it could do in the future.